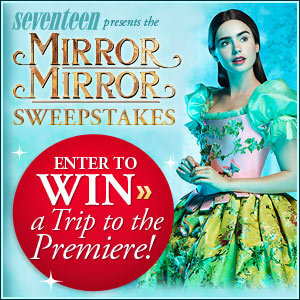 Enter for a chance to Win a Trip for You and a Guest to the Los Angeles Premiere of Mirror Mirror and a Meet-and-Greet with Seventeen Cover Star Lily Collins! Airfare for two as well as hotel accommodations. 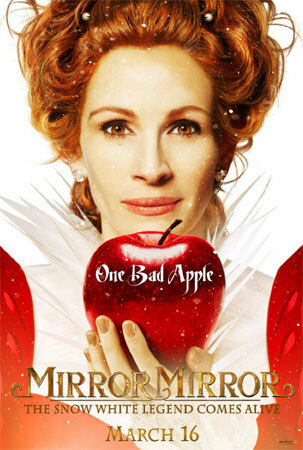 Two Mirror Mirror prize pack which include a poster autographed by Lily, a Tanda ZAP Advanced Ace Clearing Device, and Mirror Mrirror compact. Ten first-prize winners score the Mirror Mirror prize pack!